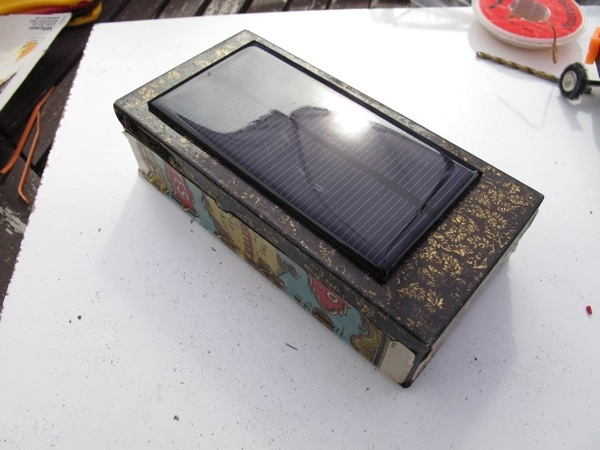 From the Forums: MintyBoost Solar Charger Project #mintyboost « Adafruit Industries – Makers, hackers, artists, designers and engineers! 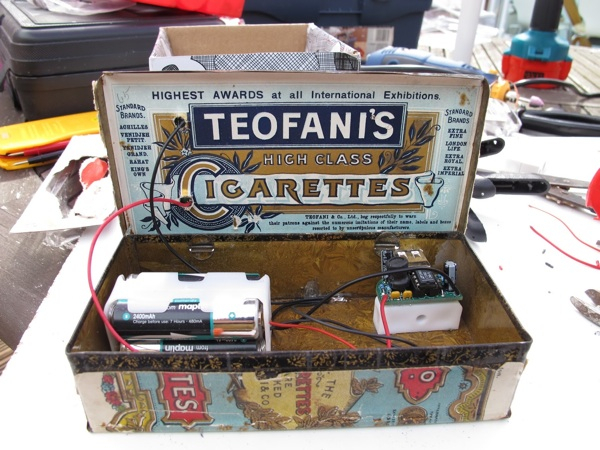 Collin Smith shared his MintyBoost Solar Charger Project, housed in his “up cycled” antique cigarette box, on the Adafruit Forums! 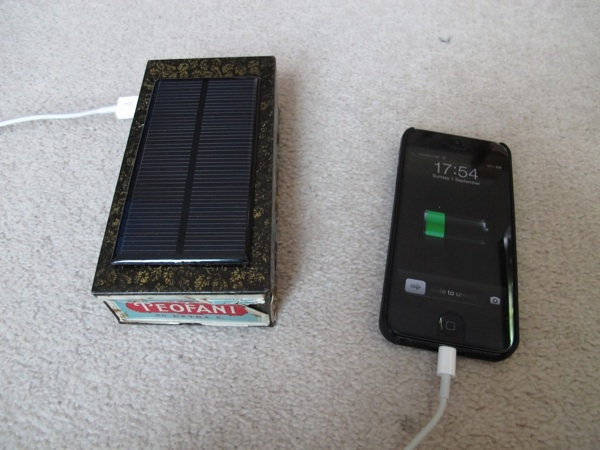 Just to share my project using the MintyBoost V3 with a solar panel. I use it to charge my iPhone 5 daily and works really well. No tweaks to the MintyBoost were required, just some additional battery power. Check out his project documentation on his site!